Scinapse Successful in National Science Week Funding! 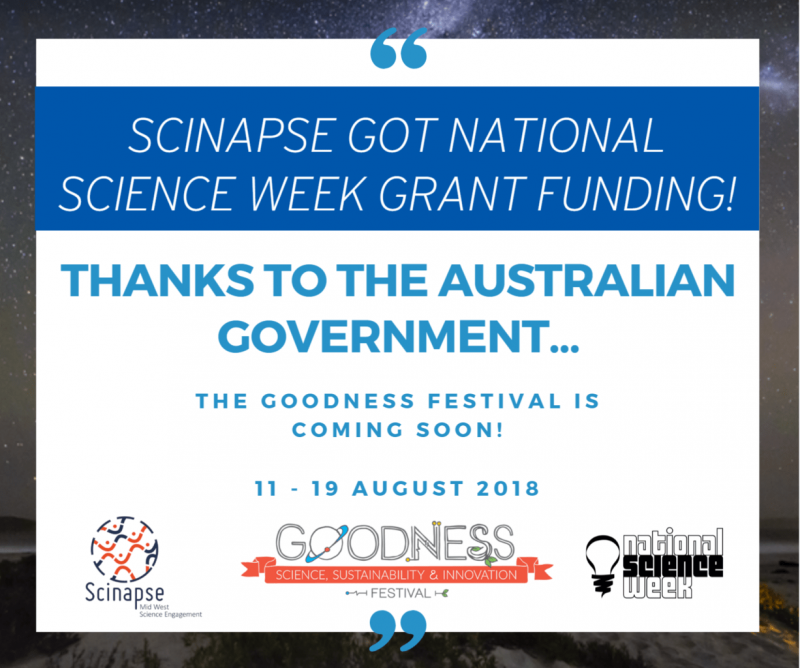 It is with great excitement and pleasure that Scinapse WA announces that we have been successful in receiving funding for National Science Week 2018! We received the very amazing news from MP Melissa Price a few months back and are already madly planning for the upcoming Goodness Festival 2018. 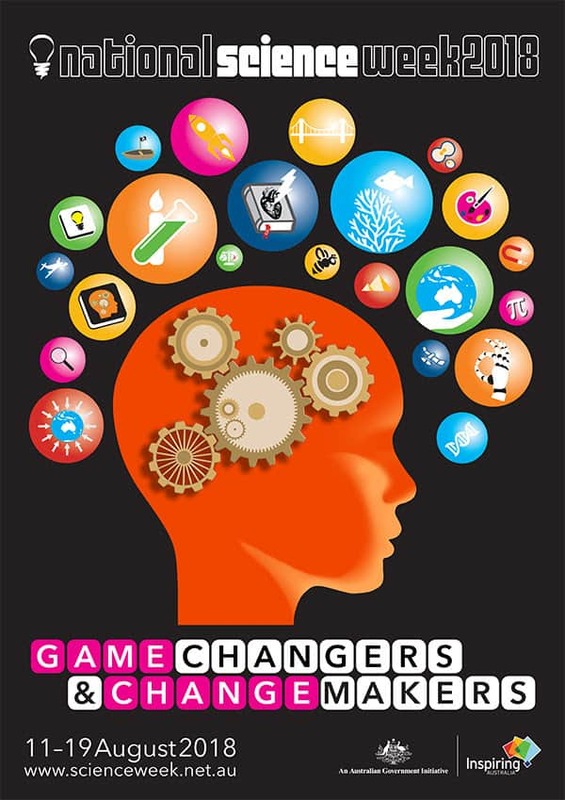 National Science Week 2018 will take place from the 11 – 19 of August this year as individuals and organisations from across the country come together to celebrate science!